The Santa Ana Mountains rest less than 20 miles from the Pacific Ocean and are surrounded by the growing urban communities of Orange, Riverside and San Diego Counties, yet they retain a wild quality that provides habitat for hundreds of species, some of which are found nowhere else on earth. In fact, the range is considered the last intact coastal ecosystem in Southern California. 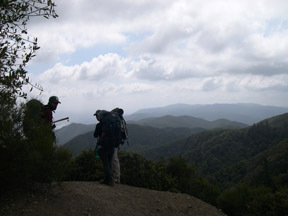 The Santa Ana Mountains are part of the California Floristic Province, a biological hot spot featuring a tremendous amount of species diversity. And still, the area has little protection. Dams, roads, residential development, energy infrastructure, pollution, catastrophic fires and floods and misuse threaten the range. Perhaps though, the most dangerous threat to the range is the disconnection and apathy of the millions who dwell at its feet. 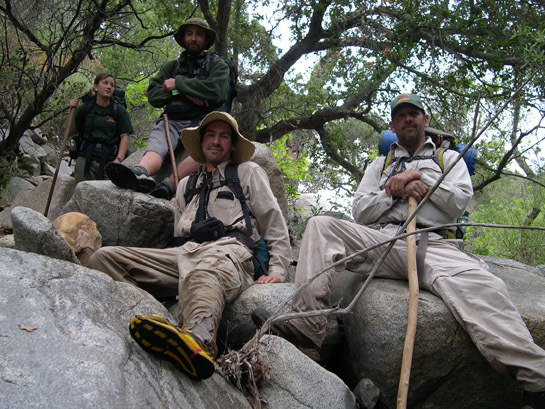 We are a group of naturalists and a coalition of conservation partners working to preserve the wild character and function of the Santa Ana Mountains Ecosystem while ensuring opportunities for solace, exploration and discovery forever! Through an initial investigative expedition of the range, we found that the Santa Ana Mountains are a world-class mountain range with National Park quality vistas, wildlife habitat, and roadless areas that would make even the most seasoned explorer drool with envy. To guarantee a healthy and sustainable future for surrounding residents, the range must receive a higher degree of protection. Goal: Establish active community stewardship of the range by connecting the culturally, ethnically, and economically diverse human community to the range through a dynamic series of programs, projects and events. 1) Full-time naturalist will offer 4-5 free tours every week to serve approx. 5-25 people per tour (a minimum of 960 people per year and as much as few thousand). Numbers of participants and other program related statistics would be provided on a monthly basis to the USFS. 2) Recruit and train 1 to 5 residents as volunteer naturalists per year to significantly increase the amount of tours offered and public served. 3) Focus marketing on neighborhoods with environmentally threatening development proposals as well as other significant impacts. Goal: Establish the political designations necessary to preserve the biological, cultural and watershed function of the range. 1) Designate the Santa Ana Mountains as the Grizzly Bear National Monument as part of the National Park System in what is now the Trabuco Ranger District of the Cleveland National Forest. 2) Designate wilderness in identified roadless areas to preserve critical habitat for declining wildlife species. 3) Acquire, restore, and manage privately owned nature preserves to be connected and absorbed into the monument/wilderness designation. Goal: Combat inappropriate land use in unsupervised areas. 1) Provide Wilderness Sensitivity Patrols. A staff person will patrol on foot and in a vehicle to maintain a positive presence at trailheads and areas of high impact. An outreach table will be set up next to illegal trails, boundary fences, and forest access gates to provide the public with information on recreational opportunities, safety, and wilderness ethics. 2) Provide spontaneous tours for curious visitors who lack experience, environmental education, and/or trail information. 3) With the help of volunteers we will maintain trails, pick up litter, remove vandalism, remove weeds, collect seed for restoration, repair damaged infrastructure (fence, signs, kiosk), etc. Goal: Improve the sustainability of our urban environments by promoting ecotourism, wilderness sensitivity, and natural resource conservation. 1) Partner with 1 Community Supported Agriculture (CSA) by first year to supply locally grown, organic produce for hiking participants. 2) Partner with local restaurants and businesses that are willing to provide their facilities as meeting locations for tours and as venues for workshops/family programs. Collaborate on marketing strategies. Incorporate programs into a green lifestyle network. 3) Obtain and distribute promotional materials from 3-5 conservation, habitat restoration, sustainable community, and/or watershed management organizations. 4) Introduce 1-2 visible human impacts (abuse, invasive plants, erosion, etc.) along the trail per tour program. Balance with discussions of empowerment. Encourage creative and strategic solutions, while carefully avoiding “gloom and doom” topics. Refer to recent environmental victories and stories of proactive individuals. 5) Carpool, ride bikes, walk, ride buses, or ride train to the majority of tour program sites. Goal: Encourage all tour participants to use alternative forms of commuting. 1) Work with local transit authorities to allow for maximum usage of their services by tour participants. 2) Encourage participants to utilize multi-use trail corridors. 3) Rely on Craigslist,1-800-COMMUTE, and other network carpool services to decrease reliance on fossil fuels. 10-20% decrease in illegal trails, litter, and vandalism along NFY program routes. 5-10% increase of community support for conservation/habitat restoration initiatives. 5-10% increase in demand for local, organic food products by tour participants. 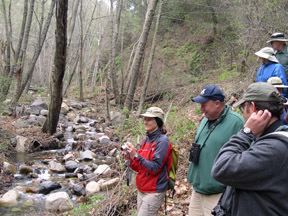 50-70% increase in tour participant attendance of the four national forests of Southern California. 70% increase in participant use of alternate forms of transportation. Chelsea Tran, Kirk Pickler, Joel Robinson, & Patrick Mitchell. 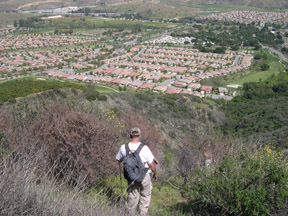 Patrick Mitchell - Professional naturalist, environmental activist, habitat restoration specialist, author of the Santa Ana River Guide & Santa Ana Mountains: History, Habitat & Hikes, and resident of Norco. Joel Robinson - Professional naturalist, habitat restoration specialist, artist, founder of Naturalist For You and the Santiago Creek Watershed Preservation & Restoration Project, and resident of Silverado. Kirk Pickler - Naturalist, habitat restoration specialist, artist, gardener, and resident of Fullerton. Chelsea Tran, College Intern - Student at Prescott College and resident of Santa Ana.